If you want to improve the shopping experience on your WooCommerce website and increase sales, then you need to make it easier to purchase products. Customers are likely to buy more if you let them add multiple products to the cart from one page. Here’s how it works: the customer simply ticks a checkbox to select each product they’d like to buy. Next, they click an Add Selected to Cart button to add everything at once. Finally, they head over to the checkout page. In this article, we’ll show you how you can use the WooCommerce Product Table plugin to allow your customers to select multiple products and add them to the cart from a single page. Before we begin, let’s quickly take a look at how your Woo store can benefit from this. If you’ve been using WordPress and WooCommerce for some time, you probably already know that the default layouts and user flows are very limited. There’s no built-in way for customers to add multiple products to the shopping cart at once. At best, your Woo product listing pages include an Add to Cart button for individual products. If a customer wants to buy more than one product, they’ll have to click a separate Add to Cart button to add each product to their cart. What’s worse is that they have to visit the single product page of each product they want to purchase. This might be to get more information, set quantities, or configure product variations. With the WooCommerce Product Table plugin, you can improve your customer’s shopping experience by creating smooth one-page ordering. Instead of navigating to single product pages, your customers can shop directly from the product table view. WooCommerce Product Table lets you add multi-select checkboxes alongside (or in place of) the Add to Cart buttons in the product table view. Customers will be able to tick the checkboxes next to the products they’d like to buy and select multiple products. They can choose their quantities and product variations directly from the table layout. Finally, they can click a single Add Selected to Cart button. This will add multiple products to the cart at once. By allowing customers to quickly select products, you can speed up shopping user flows on your online store. As a result, you’ll effectively be improving your online sales and conversion rates. Let customers add multiple products to their shopping cart and increase conversions! Which businesses can benefit from letting customers add multiple products to the cart from a single page? How do you know if your WooCommerce online store will benefit from offering customers quick buying options? The first thing you need to do is analyze your customers’ buying habits. Ask yourself if it makes sense to buy multiple products from your online store at a time. Although multi-select checkboxes certainly have their benefits, not every business can benefit from them. For instance, if you’re selling large furniture, customers are likely to buy one (or maybe two) items at a time. However, there are plenty of products that lend themselves to multiple ordering, and this is where WooCommerce Product Table comes in. If you’re selling small, low-cost products or products that are meant to be used together then your online store can certainly benefit from having a multi-select checkbox system. Does your WooCommerce store fall into any of these categories? Low and medium cost products. When making purchases isn’t backed by major buying decisions, customers are more inclined to add multiple products to their shopping cart. In fact, improving your shopping user flow might even encourage them to buy more from you. E-commerce stores selling stationery items, toys, books, cosmetic products, and jewelry (for example) can benefit from letting their customers use WooCommerce to add multiple products to the cart from one page. Related products. 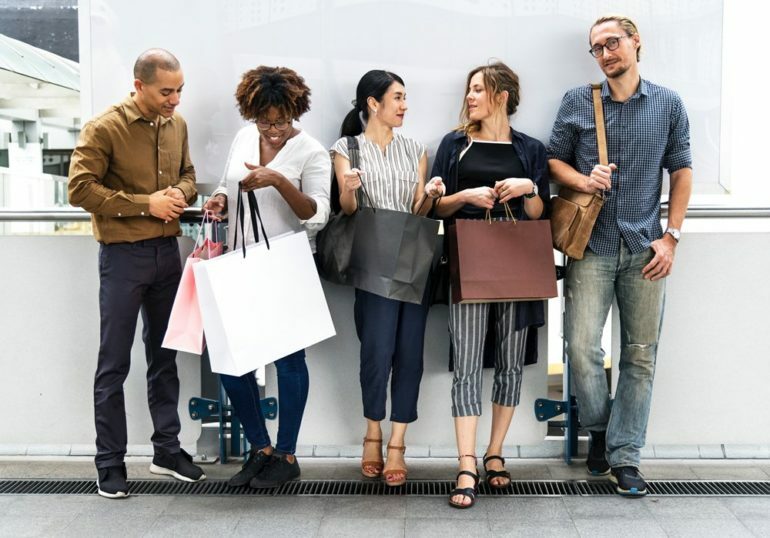 If you’re selling products that are designed to be used together, then you can improve the shopping experience by letting customers add multiple products to the cart from a single page. For instance, if you’re selling clothes then your customers are likely to purchase more than one item from you. If they’re buying a t-shirt, they might also purchase jeans or sandals to go with it to complete their look. Build-your-own products. Online stores selling any kind of build-your-own product can benefit from letting customers add multiple products to the cart from the product listings page. This includes stores selling items such as gift hampers, custom cosmetic boxes, or bakery items. As you can see, there are many other businesses and online stores that can improve their shopping user flows simply by letting customers add multiple products to the cart from one page. For example, are you running a restaurant? You can set up an online food ordering system or a takeaway order system that essentially works the same way. Customers view your foods in a list and tick all the meals they require. No need to visit the single product page! A WooCommerce add multiple products to cart plugin could be just what you need. WooCommerce Product Table is a plugin designed for WooCommerce websites that lets users add multiple products to the cart from one page. 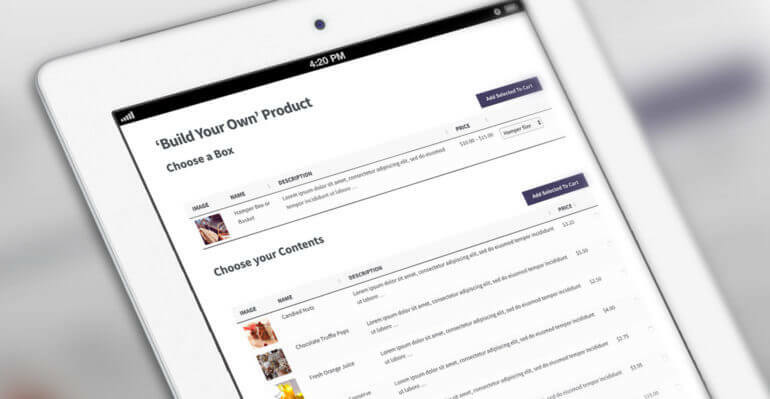 It lets you list products in a customizable, searchable table layout with a checkbox next to each product. You can choose to display an Add Selected to Cart button directly above and/or below the product table. You can create a single product table to list all of your products with multiple Add to Cart buttons and/or checkboxes. Or you can create multiple product tables listing products belonging to a specific category, tags, attribute, etc. The product tables are fully customizable, searchable, and sortable. You can add them pretty much anywhere on your site (pages, posts, or widgetized areas) simply by inserting a shortcode. 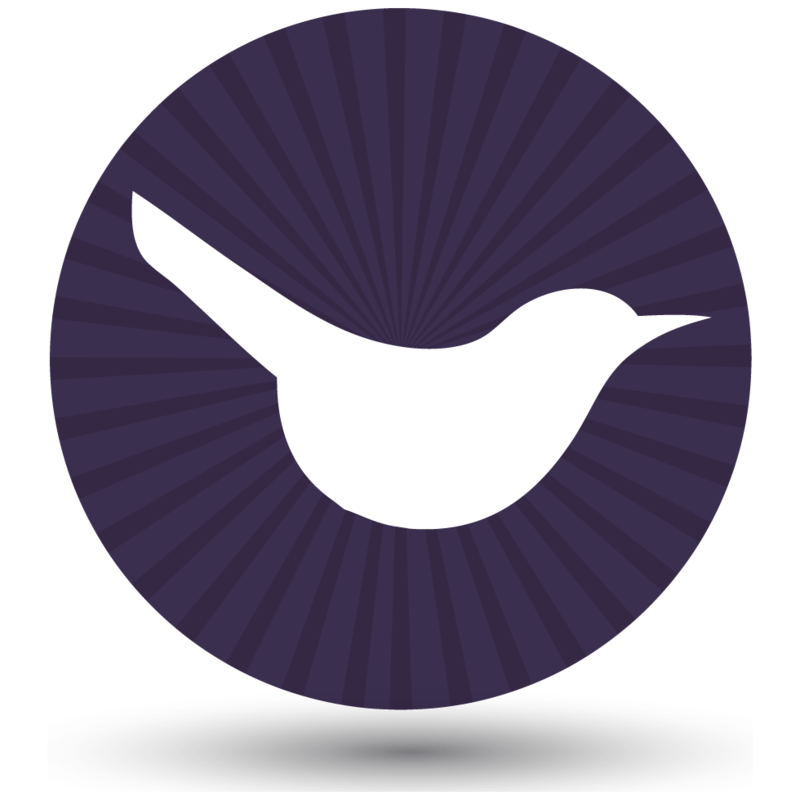 Its the perfect bulk add to cart plugin for WooCommerce. Get the WooCommerce Product Table plugin. You’ll also receive a license key for using the plugin in a confirmation email. Log in to your WordPress website and head over to Plugins -> Add New. Upload the plugin’s zipped file and click Activate. Navigate to WooCommerce –> Settings –> Products -> Product Table and paste your license key into the License Key input field. From the same screen, scroll down till you see the Add to cart button option and select Checkbox only. This will display a multiple add to cart checkbox next to each product item in the table layout. Alternatively, select the Button & checkbox option if you want to display individual Add to Cart buttons alongside the multi-select tick boxes. Read through the other settings and make any other changes to customize how you want the product tables to behave. Head over to Pages > Add New to create a new page (or edit an existing page) that you’d like to add the product table to. Add the [product_table] shortcode to your page. Click the Publish button to proceed. One of the key benefits of using the WooCommerce Product Table plugin is that your customers don’t have to visit single product pages to get important product information or add to the cart. The purpose of letting customers add multiple products to the cart from one page is to speed up the shopping user flow. For this reason, it doesn’t make sense if customers can’t get important information directly from product listing pages. You want to display everything the customer needs to make a purchasing decision in the table layout. 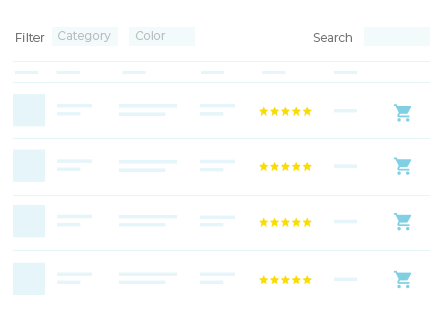 With WooCommerce Product Table, you can choose which columns to show (or hide) in the table view. Out of the box, the plugin supports all the standard product data that WooCommerce stores in the WordPress database. You can also add extra columns, such as custom fields and taxonomies. Here’s a complete list of the available columns you can choose from. Choose your columns carefully to maximize your sales. Add the columns that will actively encourage customers to add more products to their shopping cart. For example, you might decide to include a product reviews column. This will give customers some insight into what other people thought about the product. Customers might want to use a quantity selector or provide variation options to customize their product or order. Making these options available alongside the Add Selected to Cart button will further improve your site’s user experience. Activate the quantity selector. The WooCommerce Product Table plugin comes with a built-in option to display a quantity selector directly in the table layout. Simply activate the quantity selector option from the plugin’s settings page. By doing so, customers will be able to set a quantity before adding a product to their cart. Display product variations. 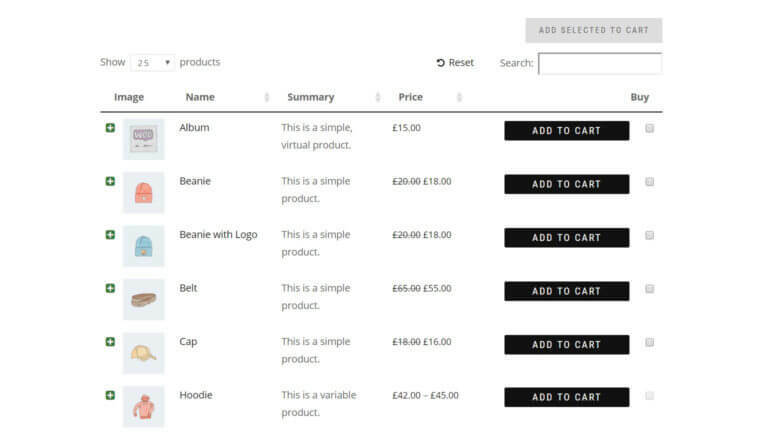 With the WooCommerce Product Table plugin, you can display product variations as dropdown lists or as separate rows. If you’re using the WooCommerce Product Add-Ons plugin in tandem with WooCommerce Product Table, extra product options will show up next to the Add to Cart buttons. In some cases, adding variable products might not make sense for the type of product you’re selling. Instead, you can add extra options (in the form of checkboxes, radio buttons, or text fields) directly to the table layout. Adding multiple products to the cart is all about keeping the customer on one page. So what happens if you want to provide extra information which doesn’t fit on the one page order form? You don’t want to send customers to a separate page for each product – that defeats the purpose of the multi-add to cart features. 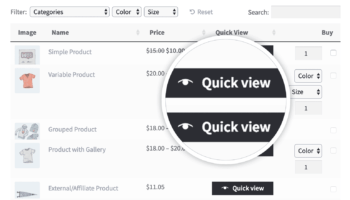 The solution is to use the method described in this tutorial with the WooCommerce Quick View Pro plugin. This plugin works with WooCommerce Product Table and adds quick view links or buttons to the WC order form. Customers click on these links to view more product information in a quick view lightbox window. They can learn more about the product and then close the lightbox to return to the one page order form, where they can add multiple products to the cart. This aids multiple purchases better than sending customers to multiple pages. If you want customers to add multiple products to the cart at once, then you may wish to remove the add to cart buttons from the quick view lightbox. Instead, use the plugin settings page to show other information in the lightbox such as the short description and full product image gallery. Customers will still need to use the multi-select checkboxes to add products to the cart, directly in the order form. Or if you prefer, you can have the checkboxes on the order form AND allow customers to purchase products individually from the lightbox. The choice is yours. Improves the shopping user flow for your customers. Increases the value of each sale. Depending on what types of products you’re selling, speeding up the buying process and letting customers select products quickly just might convince customers to buy more from you. Do your customers typically purchase more than one product from your online store at a time? If so, do you think that letting them add multiple products to the cart from one page would improve their shopping experience? Share your thoughts in the comments section below!